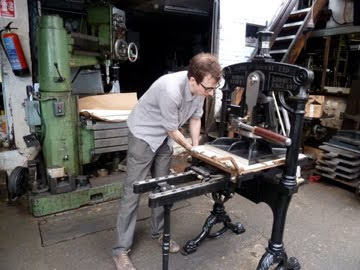 I was invited recently to write a short review for Printmaking Today magazine on a brand new printing press. 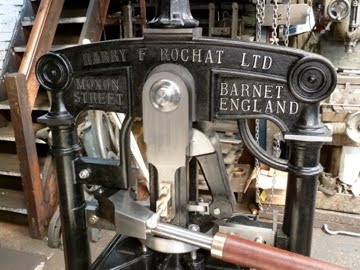 The press is an Albion and is being made by Harry F Rochat, a family-run company famed the world over for their etching presses. Luckily for me they are based just up the road in Barnet, North London. 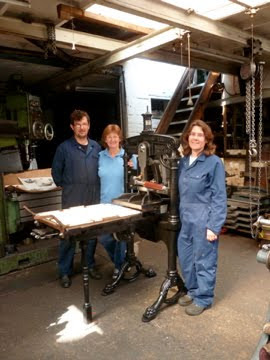 I went down to their workshop to see the press and be the FIRST to test it out! Here is the inauspicious exterior of their premises, down a narrow side street. 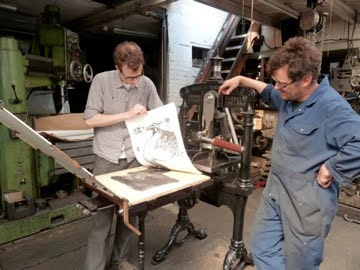 They have been here since 1969 and the third generation of the family is now busily involved. 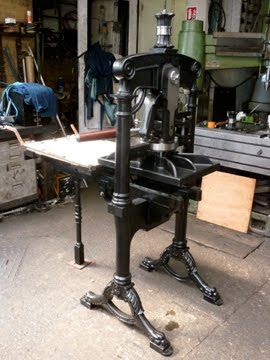 And here is the press… It’s a beauty, isn’t it?! 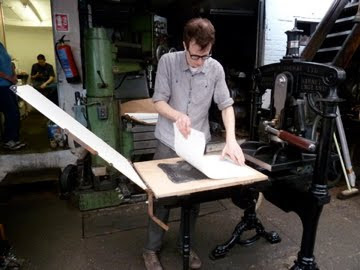 The design is based on an old 1854 Ulmer & Sons and has been several years in the making. 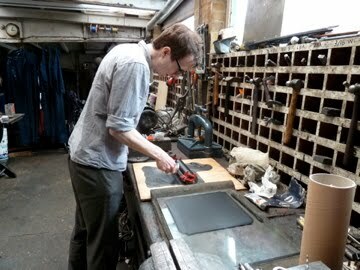 This is David Rochat in the workshop. 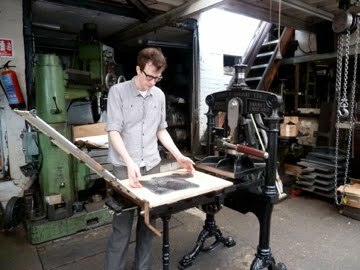 There now follow a few photos of me in action pulling a print. Photos by Lynne, another member of the Rochat family. As you can see I was pretty happy with the results. 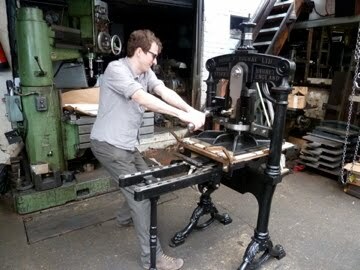 The action was lovely and smooth and not too much hard work, unlike the little antique albion I’m used to. After a few adjustments to the pressure and amount of ink I got excellent results. 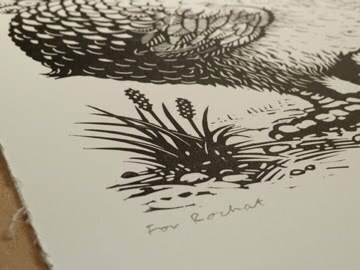 The family asked if they could keep the first print I made on the press, so I signed it for them. 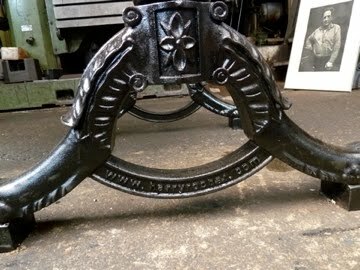 Below are a couple more close-ups of the press, showing the amazing level of detail. Note the website address on the base. Let’s hope they don’t have to change their domain name any time soon! 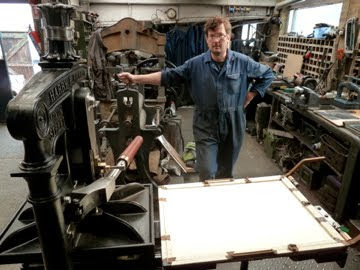 Lovely article and a beautiful press. Look forward to reading more about it in Printmaking Today. Looks amazing!Love the old fashioned look. 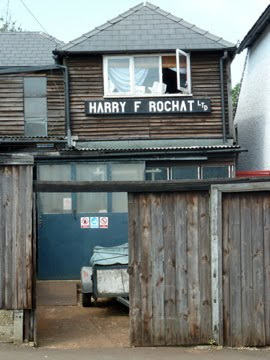 I am also a Rochat!! I live in America. 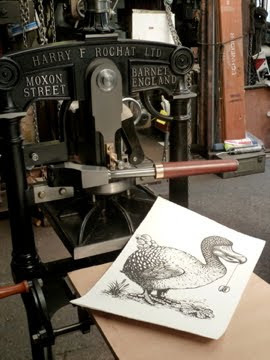 Lovely to see a ‘new’ Albion, I’ve been using one of your etching presses since 1977 and still works wonderfully. We would love one of those! 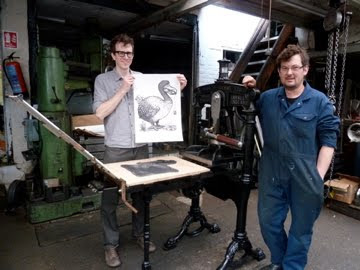 We have a Albion made in the UK in 1858 in our Museum in Taranaki and we are looking for designs for the frisket.